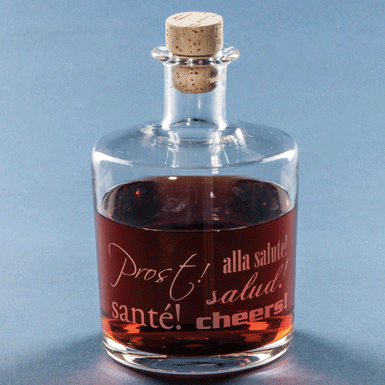 Webshop-Glasi Whisky or Cognac decanter "Santé" with cork stop. SHOP > Drinking > Whisky or Cognac decanter "Santé" with cork stop. This engraved flask with an airtight cork stopper is ideal for preserving spirits. Cheers!